This board is based on our succesful Autonomo. 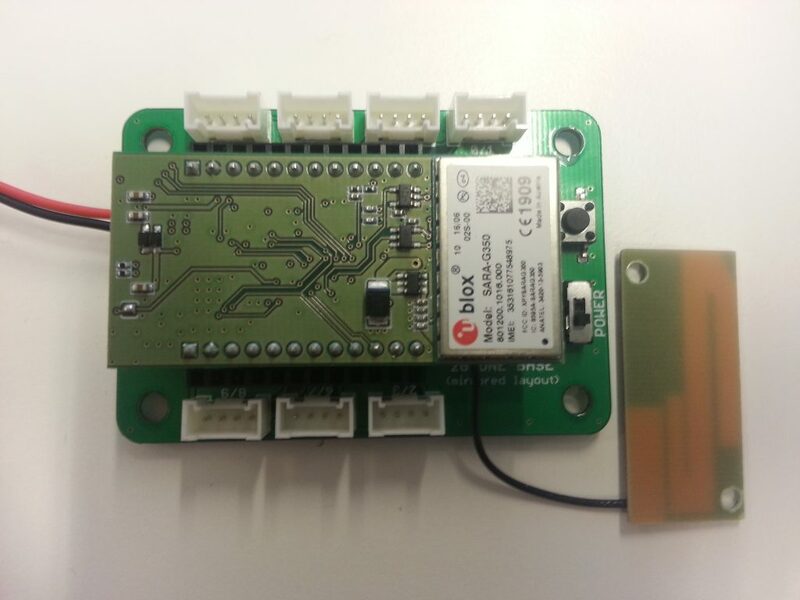 A proven 32 bits Arduino compatible platform. It has a solar charge controller and runs on a LiPo or permanent battery. Next we added a GPS module. We chose the Ublox Eva 7M. It’s not only very small, but with it’s assisted GPS feature it can get a fix in just seconds. We also included a low power Accelerometer/Magnetometer chip. This means we can keep the board in sleep until it moves or has a change in magnetic field. This is crucial for developing low power devices. Say you want to develop a bicycle tracker. You would like know the position of the bike, but only when it has moved. So keep the device in deep sleep until you detect motion. If the motion continues for a while, the bicycle may have changed position so you only then switch on the GPS to get a new reading and send this new location over the GPRS/2G network. This way you make most efficient use of you battery capacity by only using the GPS when really needed. The Magnetometer extends the range of possibilities. You could now use the board to develop a parking sensor (fit the device in the street, if a car is parked this changes the magnetic field). Or you can mount it to a fence and use the compass direction to determine if the gate is open or not. The board is so small (57×25 mm) you can fit it inside alsmost anything. To ease the development we have fitted two rows of headers so you can use it on a breadboard. Why? Well it has 14 free I/O lines that you can use for your own purpose. Whether you want to build a weather station, control street lights or get a signal when you have received (snail) mail. It’s all possible with the SODAQ ONE. 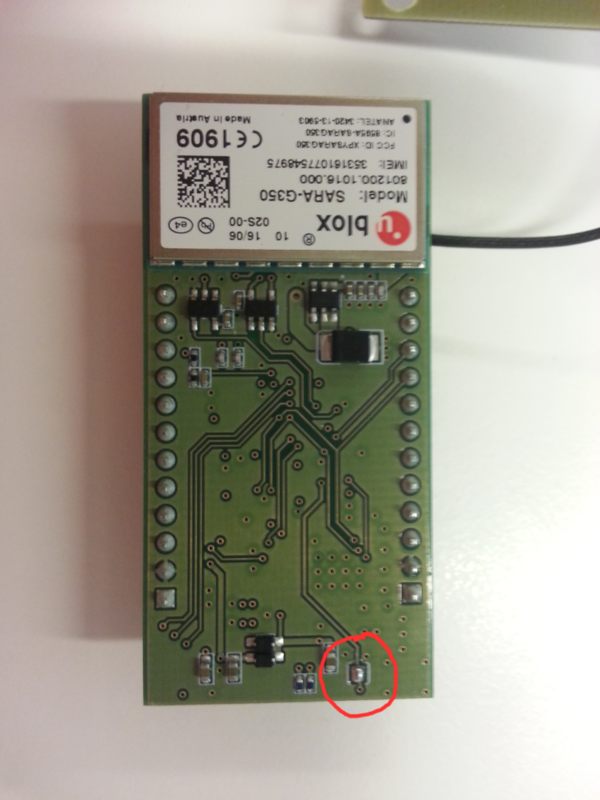 To start you off, here are the external pin descriptions of the SODAQ 2G ONE. Every header pin will be described here, so you know exactly how to address the pin in the Arduino IDE. In order to start programming for the 2G ONE, make sure you have the latest Arduino IDE. Click here to go to the Arduino downloads page. When your Arduino IDE is installed, it might be necessary to restart your computer. In some cases, if you don’t restart your computer, the IDE will not launch. When you have pasted the URL, click ‘OK’ and you’re ready for the next step. Scroll all the way to the bottom, you should see SODAQ SAMD Boards. Click on it, and install version 1.6.12. It should now download some files and install the required board files for the SODAQ ONE. We’re almost there! 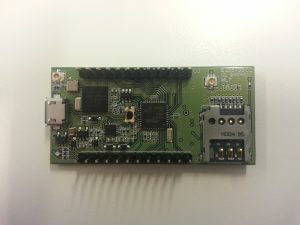 Now go to Tools > Board again and select the SODAQ ONE at the bottom. You’re now set up to start programming with the 2G ONE! 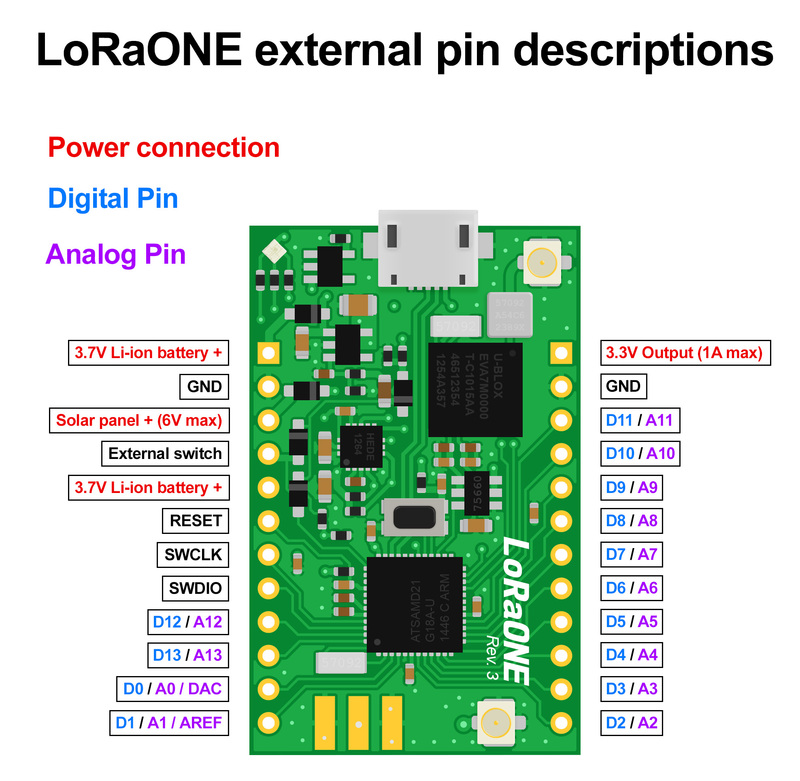 Now that you’re using the SODAQ LoRaONE board files, you’ll be able to use our handy pin definitions. Let’s say you want to use the red LED, but you forgot that pesky pin number, you can just address the led with LED_RED inside your Arduino IDE. 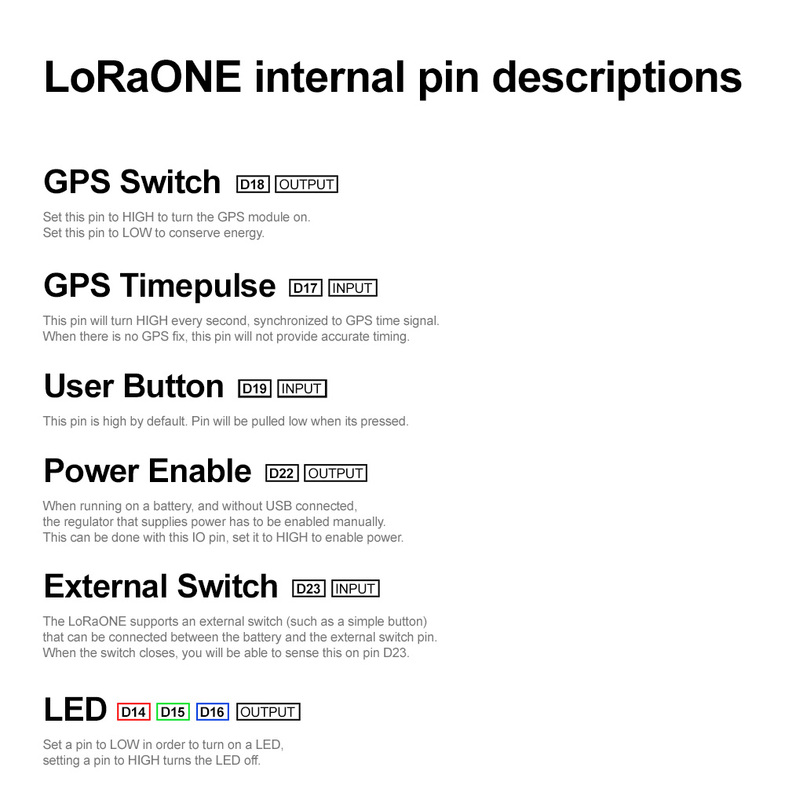 Our pin definitions allow you to address by name instead of pin number. Note: Yes the name is 3G, this library is compatible with the GPRS/2G/3G modules of uBlox. On Github you will also see the “old” GRPSBee library, this library will NOT work because this is NOT for the uBlox module. Note: The 2G chip needs a battery connected to the board. You can use the Base with battery and switch the power on. There is an example in the library. Note, make the solderjumper to use an active antenna.